Flies, typically considered a nuisance, exist in all regions of the United States and around the world wherever food is prepared and garbage accumulates. Flies, such as the house fly and other 'filth flies' can become nuisance pests, but also are important for their potential to cause harm to humans and animals. 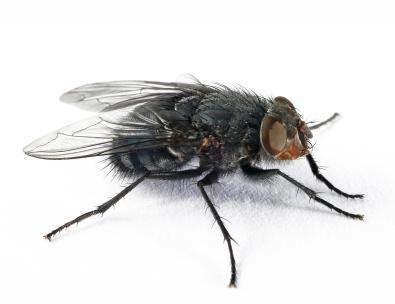 House flies, for example, can spread diseases such as food poisoning and dysentery. Flies, including stable flies and mosquitoes (which are also classified as flies, or Diptera, meaning two wings), have the ability to inflict painful bites while feeding on the blood of humans and other animals, and some species can transmit disease. There are more than 240,000 different species of flies in the world and approximately one third of them, including mosquitoes and gnats, can be found in the United States. Filth flies often feed and lay eggs in any decaying, rotting organic matter such as garbage, manure and carrion before contaminating human foods and food preparation surfaces by landing on them. When feeding, house flies regurgitate their stomach contents onto food to liquefy it before ingesting it, this habit, combined with particles of garbage and other rotting organic matter that is stuck to their bodies will lead to contamination of human food and thus the transmission of diseases. Top Quality Exterminating, serving Nassau, Suffolk and Queens counties, has developed a unique pest control management program for the extermination and control of flies. This integrated pest control program includes environmentally safe chemical methods, biological and other non-chemical methods such as installation of insect screens, insect light traps (ILTs), glue traps or sticky tapes or cords and industrial screens and air curtains for doorways. Contact Top Quality Exterminating now for your Free no-obligation quote for your pest control needs on Long Island and Queens, NY. Filth Flies Identification on Long Island and Queens, NY. Filth flies are divided into two groups, Large and Small, this is determined by their appearance and food preferences. Large filth flies have stout bodies, short legs and their food preferences are manure, carrion and garbage. Small filth flies have slender bodies, long legs and their food preferences are drain sludge, organic debris and rotting plant material. Here is a short list of large and small filth flies that Top Quality exterminating has seen on Long Island and Queens. House Fly (Musca Domestica): The common house fly is a dull gray fly, 1/4 of an inch long with four dark stripes on the middle section of its body. Flesh Flies: Flesh flies usually seek carrion or scraps of meat on which to lay their eggs. Like house flies, adult flesh flies are dark-colored(gray or black). They are slightly larger than house flies. Fruit Flies: Also known as vinegar flies, fruit flies are attracted to sweet or fermented liquids such as liquor, syrup, soda pop and vinegar, in addition to ripening/rotting fruit. The gnat-sized adults typically have tan-colored bodies and red eyes. Phorid Flies" Phorids are tiny, dark-colored flies. Sources of phorid fly infestation include liquefied garbage, sewage and carrion, often hidden in places difficult to inspect and access. drain Flies: Drain flies are about 1/8 of an inch long, adult drain flies are slightly larger than other small filth flies. Their broad, hairy wings have given rise to another name: moth fly. They also have been called sewer flies, because they infest raw sewage. Top Quality Exterminating can help you control your fly infestation around your home or business in Long Island and Queens, NY. Our experience and knowledge in identifying the different flies allows our technicians to create an effective pest control strategy. 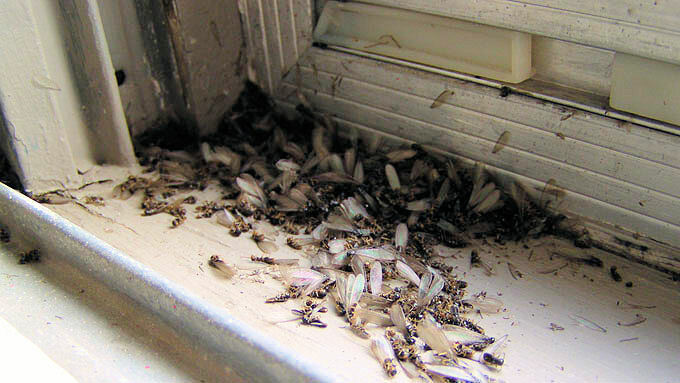 While you can sometimes control an infestation using over-the-counter products, such as sticky fly traps and ultraviolet(UV) lights, these bothersome pests need to be treated directly. Top Quality Exterminatingpest control technicians have the experience to control and eliminate your infestation. For a Free no-obligation quote, contact Top Quality Exterminating today! 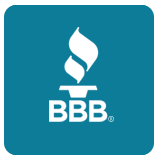 Ensuring your family's health and safety, all Top Quality Exterminating technicians follow a strict set of pest control guidelines, using products that are registered with the Environmental Protection Agency (EPA). Our pest control technicians are registered and licensed with New York State and participate in a continuing education program in order to deliver the latest pest control techniques across Long Island and Queens, NY. Contact Top Quality Exterminating for your FREE no-obligation quote to protect you home and business.